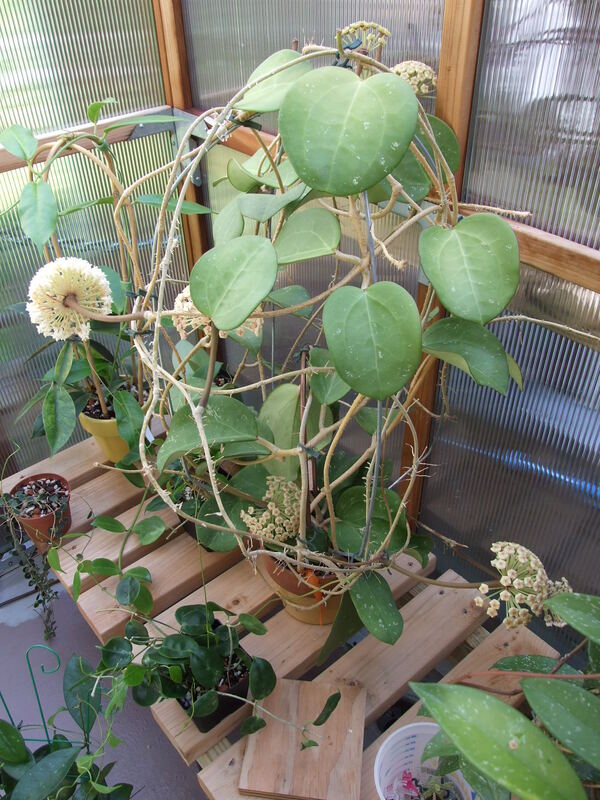 Hoya latifolia is a great plant with leaves that are large and thick, which look very different from the “typical” Hoya leaves. It can grow quite rapidly in the summer under ideal conditions, but like so many other Hoyas will just sit there in the winter and do nothing unless given supplemental lighting and humidity. The plant flowered at 2 1/2 years of age for me and produced a lot of flowers! 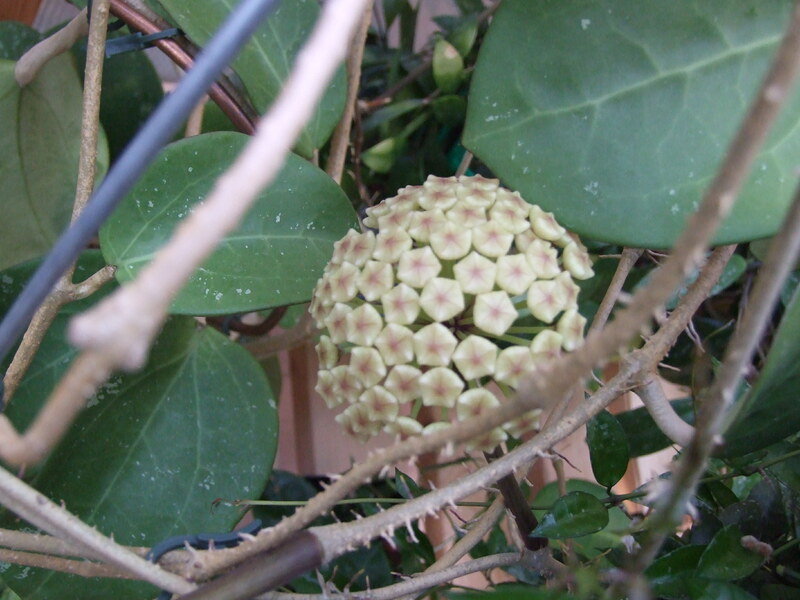 Since flowering, it has just sat there in suspended animation. 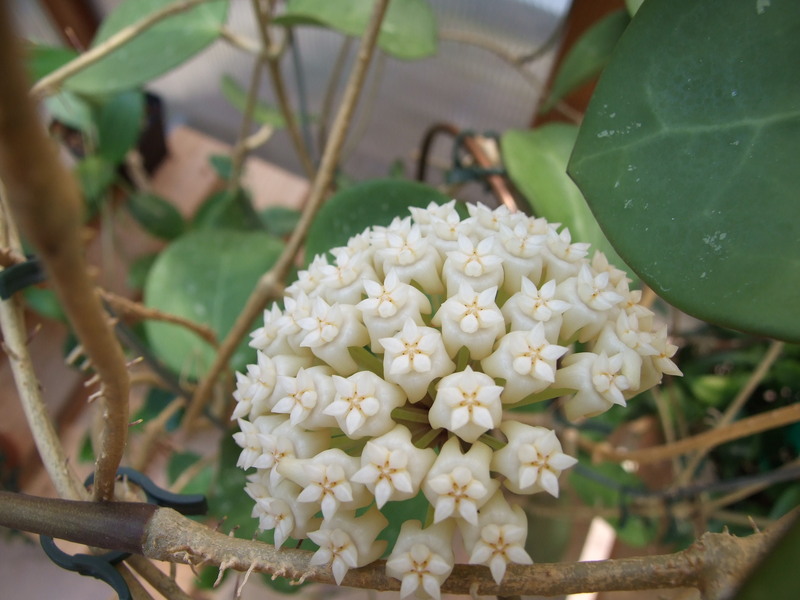 A nice out of the ordinary Hoya that I recommend strongly. ***New Update June 1, 2015*** My plant has produced thousands of flowers since I first created this page, and I finally had the chance to count just how many flowers could be on a single peduncle. The answer was somewhat shocking – 260 flowers can be seen in this photograph. They were all placed in groups of ten. What a plant!!!!!! !